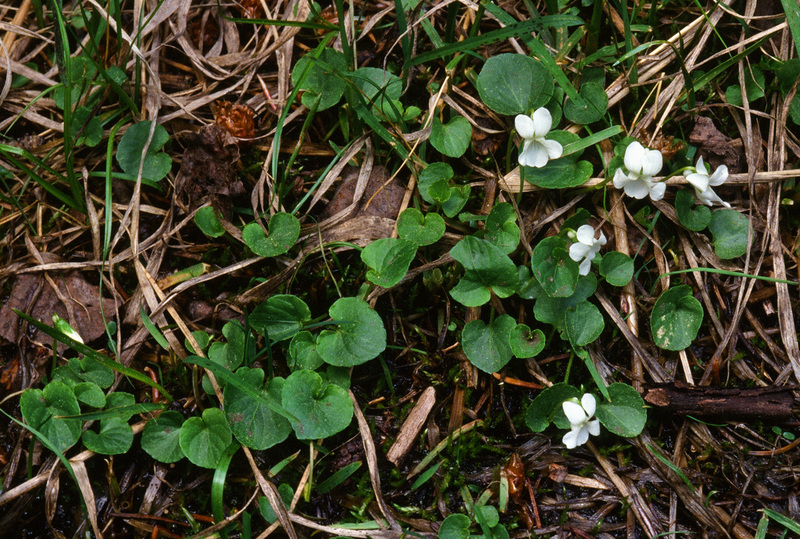 A smaller plant than the Viola sp. 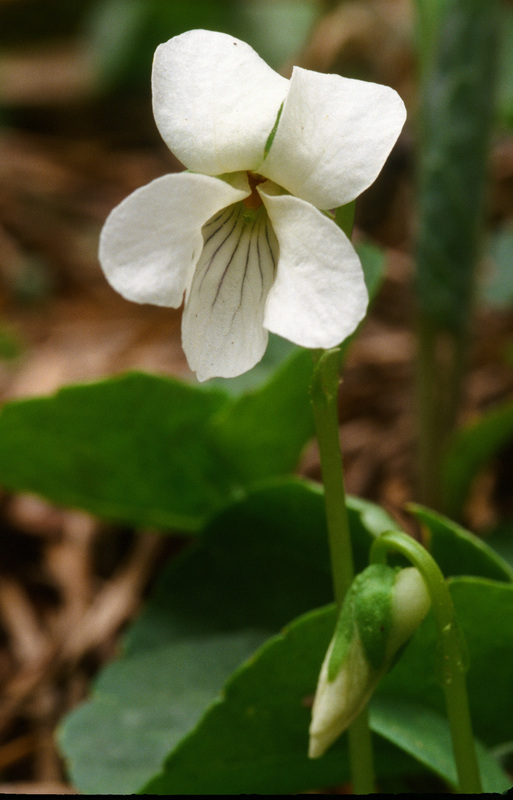 nov. populations of the Pacific northwest and Viola palustris L. var. palustris of the Atlantic. 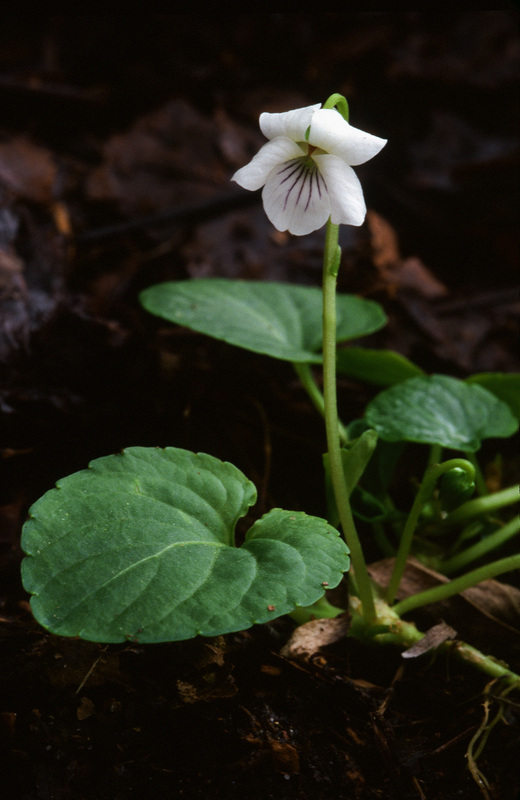 It is stoloniferous, with bright green kidney-shaped or heart shaped leaves and white (occasionally purple) flowers This violet is found in subalpine to lower alpine areas near the timberline of the Rocky Mountains chain of Arizona, Colorado, Idaho, Montana, South Dakota (Black Hills), Wyoming, Utah, extending into Canada in Alberta, Ontario and Saskatchewan. 8,500-12,000ft in the Rocky Mountains but at lower altitudes in more northerly locations. It is common in very moist to boggy habitats, wetter than V. palustris var. palustris L. of Europe and the northeast of Northern America. Glabrous, stemless, perennial from 4-8 cm high, slender, horizontal creeping rhizomes (like V. palustris), and long stolons (like V. macloskeyi), often bearing roots along the internodes as well as from the nodes. Usually one or two leaves at the end of the rhizome at flowering. Leaves light green, up to 3.3 cm long and 3.4 cm wide, cordate to reniform, tip somewhat acute, margins shallowly crenate; petioles not winged (no decurrent margins); stipules wide ovate, some scarious; peduncles about equaling, or often surpassing, the leaves, bracteoles on peduncle above the middle, one quarter to one third down. 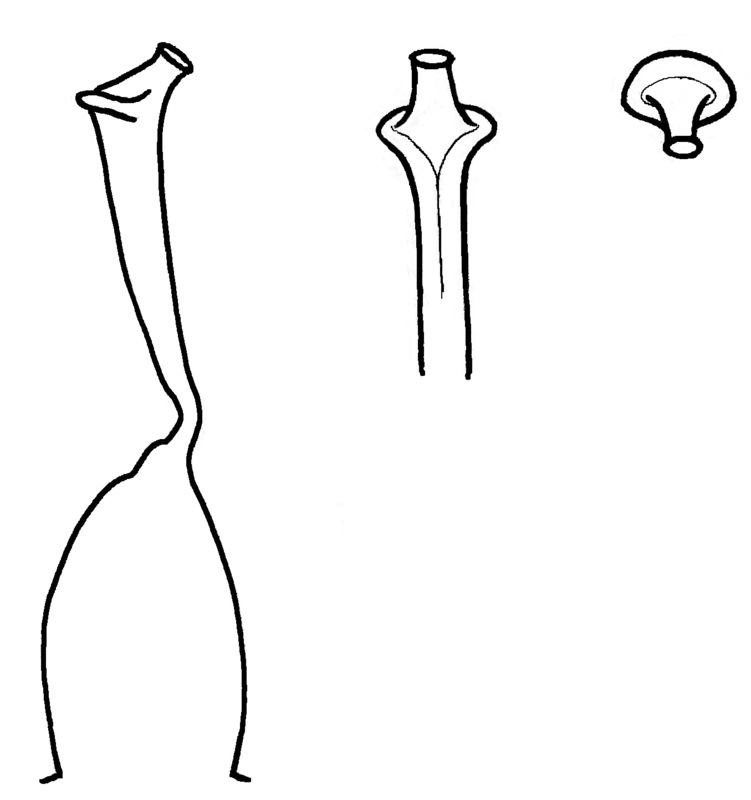 Sepals tapered, triangular. Flowers small with a very rounded face (1.4 x 1.3 cm), petals white or more occasionally pale lilac, with purple guidelines, no hairs on inside of lateral petals, petal spur white on white flowers, lilac on lilac flowers, end rounded, saccate, 1.5 mm long; seed pod green, 0.7 cm long; seeds very dark grey to black, 1.3-1.4 x 0.8-1.0 mm, mid to dark grey-brown. Chromosome number is in the process of hybrid evolution. Madroño 3: 235, pl. 11, fig. 6. 1936. Sorsa (1968) made chromosome counts of plants from two locations: one from the type location at Estes Park, Colorado, the second from Yellowstone National Park in Wyoming. The Colorado plants showed a chromosome count of 2n=36-38 made up of approximately13 pairs plus 10-12 singles. The chromosome composition might have arisen as a result of hybridization of a tetraploid and a diploid counterpart. Baker’s type collection possibly represents a young hybrid generation in which chromosomal stabilization has not yet taken place. Plants from the second Wyoming location may represent an older, balanced hybrid derivative, showing moderate stabilization and a rise of chromosome number to 2n=47-53 made up of 22 to 24 pairs and 3-5 singles. 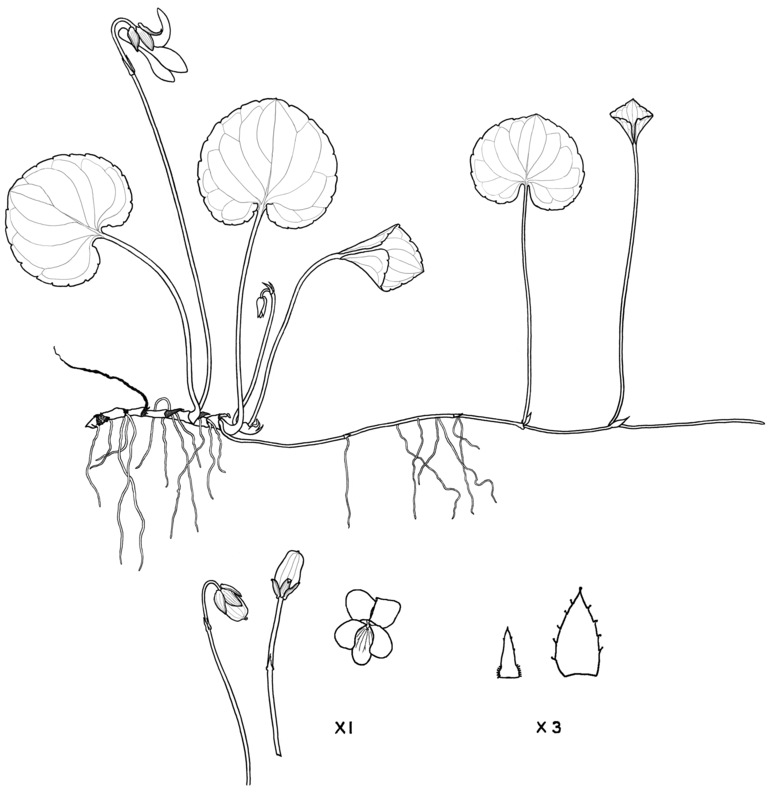 The most probable progenitors are the western Viola sp. 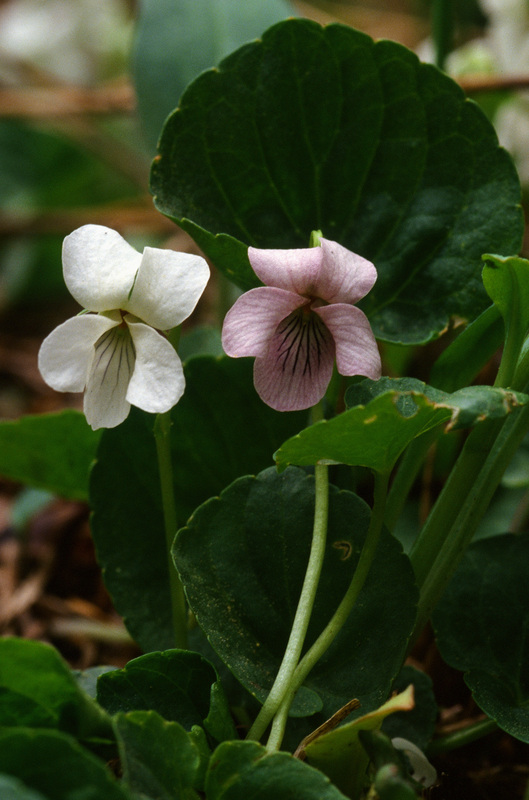 nov. type and the white-flowered diploid Viola macloskeyi accounting for either white or less commonly, mauve flowers. Previous Post Viola palustris L.
Next Post Viola primulifolia L.